In our service you may repair your iPhone 6, the parts will be available in our service from 14 November 2014. The change of the glass in “six” costs today around 1100 zl; in case of the model 6 Plus the price is higher. By using our iPhone repair service in Poznań you may count on a fast and professional change of glass in iPhone 6 already in two hours. iPhone 6 and iPhone 6 Plus were officially presented on 9th September. Despite the fact that the first models came to Poland only few weeks ago, the lovers of the brand for many months discuss the durability and reliability of finishing of the new models of smartphones. The first issue is the proneness to damaging and scratching of the screen. The glass deprived of arsenic does not protect in 100% from breaking the glass of iPhone screen despite the high resistance to damaging. Only few months ago before the premiere of the smartphone in the Internet there were voices of introducing an important innovation in production of touch screens. The new iPhone was supposed to be equipped with the sapphire glass that shows great resistance to the external factors and is practically not prone to scratching – it bends under a diamond. In the end it turned out that the gossips were not true and Apple did not introduce any significant changes in the production of screens. 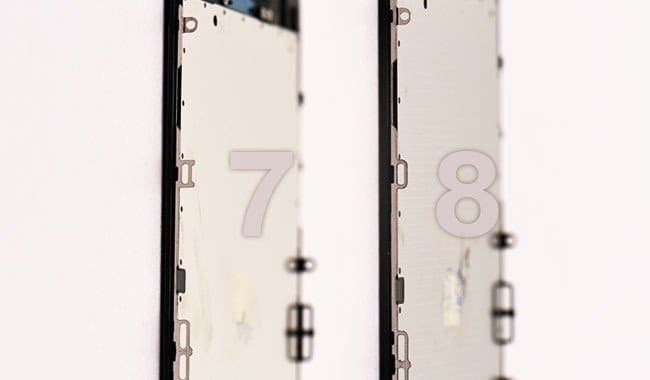 The last drop tests proved that while smartphones deal with being dropped on the concrete pavements on the screen or the backside part, dropping them on sides ends usually in a broken glass. The broken glass normally does not disrupt the everyday use of the phone, however they need to be repaired in an iPhone service. The users of Apple devices notice the significant differences comparing the models 4 and 4s which already after few droppings the glass could break by itself.